Tooth loss is a much larger problem in the United States than most people realize. The average American adult is missing at least three teeth, or at least that are very near to being lost. Tooth loss can happen for a number of reasons, but far and away advanced gum disease (periodontitis) is the leading cause of tooth loss in the US. While many factors contribute to one’s chance of developing gum disease, poor oral hygiene, failing to see the dentist when you should, and a diet with too much sugar or processed foods are the primary causes of gum disease. Incredibly, despite the consistently high rate of tooth loss in the US, for a very long time the only options available to replace missing teeth and end the physical (and psychological) pain caused by a lost tooth (or lost teeth) were conventional dentures. While these an effective treatment for the problems that result from tooth loss that is sufficient to the task of simulating the look of healthy, natural teeth in most respects, dental bridges and conventional dentures can cause many problems that range from embarrassment to infection and disease. Today, we are able to offer another option: dental implants. Dental implants replace your missing teeth, without the compromises and the risks associated with conventional dentures. At Shorewood Family Dental (a full-service, family friendly dental practice in Shorewood, IL) we have the tooth loss solutions to meet the needs and lifestyle, no matter your situation. If Dentures Are So Bad, Why Do People Still Use Them Today? It’s not that conventional dentures and bridges are ineffective. But in terms of dentures vs implants, dental implants are so much better! That is, of course, if you can get dental implants. We’ll discuss this in more detail in a later post, but dental implants require intensive oral surgery and the use of general anesthesia; this means that if you’re interested in getting dental implants, you must be healthy enough to undergo the surgical procedure, and healthy enough that the risk of failure of the implant (which is relatively small) is sufficiently mitigated. Most people can in fact get dental implants, but there is a chance that you might not be a good candidate. If this is the case, you’ll have to settle for conventional dentures (or a bridge). However, some people choose conventional dentures because they believe these to have a lower cost, when compared to dental implants. While it makes sense to go for the bargain at your local “big box” retail outlet, when it comes to your oral health (or any medical procedure, for that matter), you should prioritize value over cost. 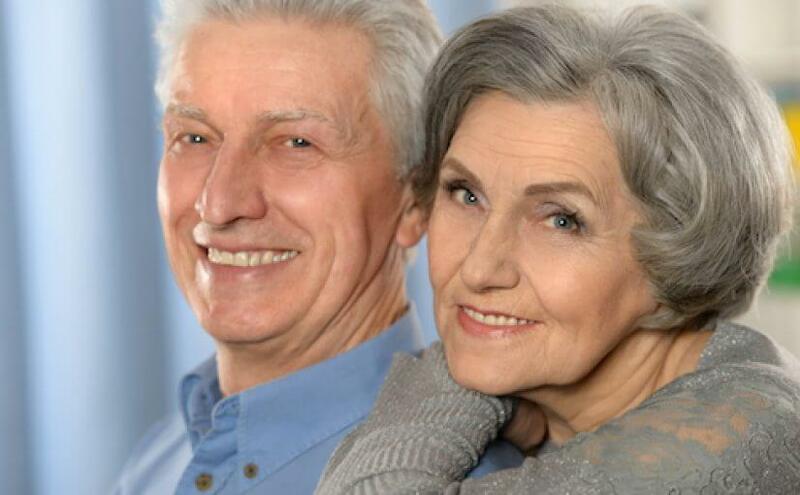 Conventional dentures do cost less, but you’re also getting less, too! Conventional dentures are probably one of the most common and recognizable form of prosthesis today. While minor improvements in materials, customization and design, and effectiveness have been made over the years, the fact is that conventional dentures fall short of providing an optimal solution for tooth loss. Tooth loss has many serious consequences for your oral health, and your bite strength is one of the most noticeable effects of tooth loss. Your bite strength determines what foods you’re able to chew and eat, as well as how well you are understood when you speak. Tooth loss will impair both of these. Replacing a lost tooth (or as in some cases, a whole row of teeth, or a whole mouth of teeth) with conventional dentures will give you back a small portion of your natural bite strength, on the order of 10% to 20% of what you were able to achieve before your tooth loss. In a world where there is almost no other option (besides a dental bridge, or simply living with the pain and embarrassment of tooth loss), that’s better than nothing. Dental implants on the other hand can almost entirely restore your bite strength to what it was before you lost your tooth; 90% seems to be the average restoration of bite strength, but it can be higher depending on your situation and your entire treatment plan. Conventional dentures must be carefully designed to fit in the mouth they’re meant for. This is because conventional dentures rely on how well the dentures interact with your oral tissues (such as your gums) and certain remaining teeth, to stay in place. This may be supplemented with adhesives, but poorly fitted dentures can cause a lot of problems for you. Getting back to the point on cost vs. value and dentures vs implants: while the upfront cost of dentures is lower than that of implants, the total cost can be much higher than it seems, when you consider the time and money it will cost to frequently replace dentures that have been broken or lost their fit. The fit of conventional dentures can be easily lost. In many instances, the loss of fit has nothing to do with the dentures themselves, but changes to the shape of your oral cavity that occur after the dentures have been made. Your body undergoes constant change all the time. You may not always notice these changes, but they happen, and your oral cavity is no exception. It’s not a matter of if your dentures will lose their fit, but when. Loss of fit can even accelerate by positive changes, such as weight loss! One, your already reduced bite strength will take a hit. Two, moving dentures have a tendency to slide out of your mouth completely, leading to embarrassment. Dentures also cause a loud clicking sound whenever you speak. Three, all that movement leads to a lot of rubbing between the dentures, your oral tissues, and teeth. This will create mouth sores, and bacteria can use these as “doorways” into your body. Worst of all, this can potentially cause serious diseases in your body.